Introducing the DirtMic-01, a new approach to overdriving and distorting sounds. It’s the ultimate character microphone, but instead of the usual lo-fi or vintage sound, we’ve created a monster by installing a distortion pedal circuit into an existing microphone, the Superlux D112. 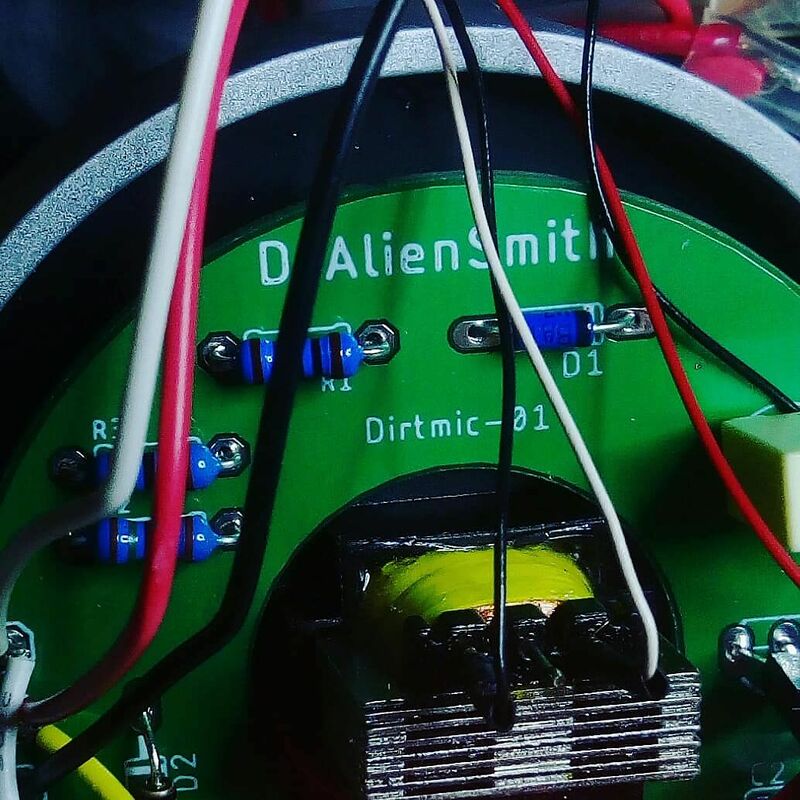 The DirtMic circuit has been designed to run off 48v phantom power and it's transformer balanced so you just plug the microphone straight into any mixer or interface via the XLR connector. Its a simple solution with no need for extra pedals, DI boxes or guitar amps. 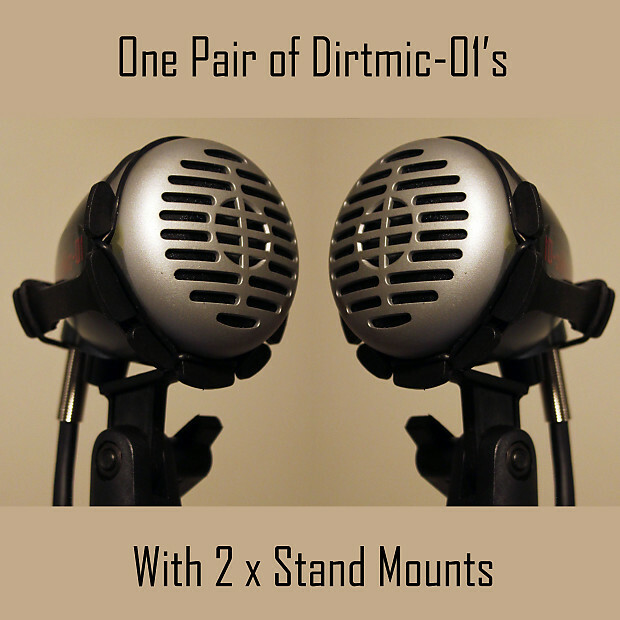 The DirtMic-01 proudly distorts and contorts everything you point it at. The amount of gain is controlled by the ‘pre-gain’ volume pot on the mic itself. Higher gain settings on the right of the dial work best in the recording studio for capturing uniquely dirty flavors from any source. Lower gain settings on the left of the dial can suit live vocal performance (although the PA quality and vocal style always play a big part in live distortion success). 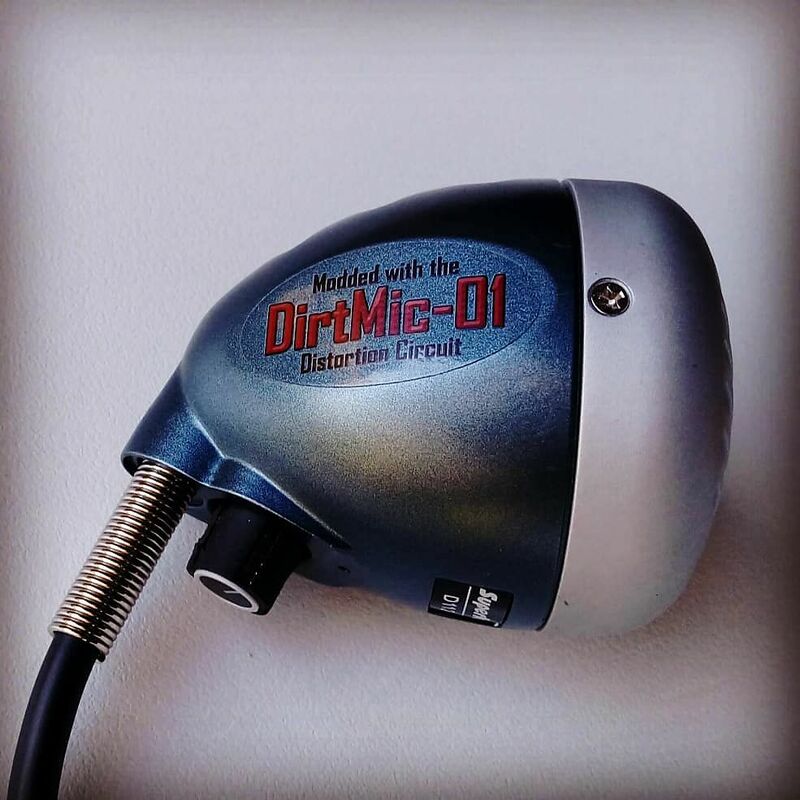 The DirtMic-01 comes with with a protective mic pouch, a manual and its covered by a 12 month repair or replace guarantee. Pre-orders for the mic are now up on our Reverb Store, $198 AUD (approx $145 US, £113) plus postage with the mics shipping on the 3rd of September. After the pre-orders are finished, the RRP will be $220 AUD pp. Here's a DirtMic-01 Test on a Bass Amp. This is an audio example of the DirtMic-01 being used on a bass amp. I'm using the original 2013 mix session for the band The Devil Rides Out and the song is 'Ugly Creatures'. The bass amp used is a Fender Rumble 350 and the cab is an Ashdown 1x15. Both mics were plugged straight into the preamps on my M-Audio Profire 2626 interface. Reverb doesn't do combined postage very well so I've added a separate listing to buy a pair of DirtMic-01's. I've uploaded a new DirtMic-01 sound test on Souncloud. This is a bit of a niche use but I've been working on a mix recently that needed some 'excitement' added to flat sounding heavy guitars. That started me down a wormhole of re-amping with the DirtMic-01 that had some interesting results. I can't use the recent mix as the songs haven't been released yet so for this sound test I've used an old session from 2017 to duplicate the results. The purpose of this test was not to replace the original guitar sound but to enhance it by adding some depth/excitement to the guitars with the DirtMic-01. The original guitar sound was played live with the drums and bass through a Marshall MA100H head and a 1960 quad box, recorded with a Shure 545 microphone. I've edited in a second rhythm track from later in the song so there is a left and a right guitar part. The Re-Amp sound was recorded through a Pisdiyauwot distortion pedal into the clean channel of a Bugera 333xl-212 combo and mic'd up with the DirtMic-01 placed 46 cm, 18 inches, from the speaker (see the picture on the soundcloud page).